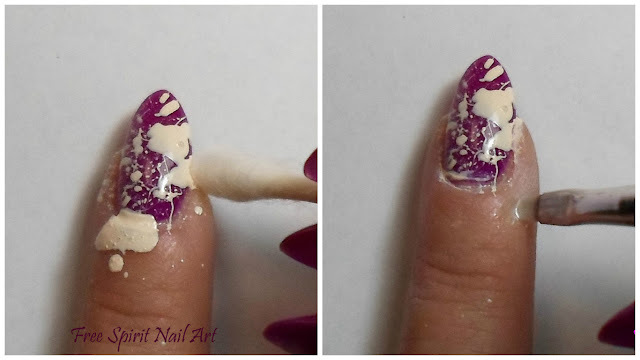 Hello my dear readers, I have a tutorial for you today! 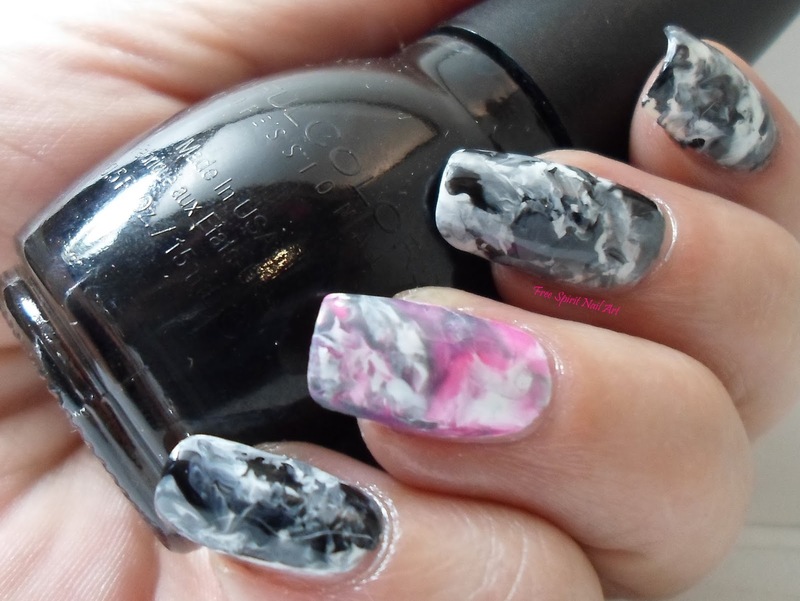 It's super easy, doesn't require any special tools and is very messy! You start out with a straw and already painted nails. Then find a lid, piece of plastic, foil or anything you are ok with getting nail polish on and pour some out into a little puddle. Then roll one end of your straw in the polish, even scooping a bit up in the straw itself. Then point the paint filled end at your finger and blow with a short, quick, sharp burst to get the best result. The next step is clean up. I start with a q-tip soaked in acetone then switch to a brush to really get those clean lines around my cuticle. Once that is done just seal it with a top coat and your done! I hope you find this tutorial useful! I'd love to see your color selections for this technique, so please share them in the comments below. Be sure to check back soon for more art, tutorials and reviews! Hello my dear readers! Today I'm sharing with you another marbled stone look, this time in gray with a neon accent nail! 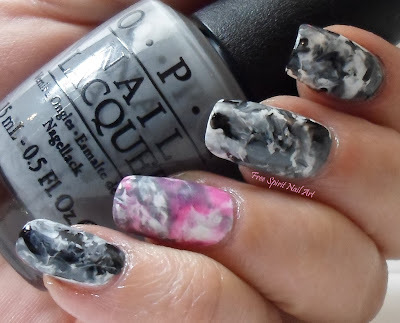 I used Sinful Colors Snow Me White, Sinful Colors Black on Black and OPI Embrace the Gray for the main colors and the accent has Sinful Colors 24/7 and Essie Secret Story on top of the white and gray. I did seal it all with a top coat of Seche Vite. It's a super simple technique and produces great results time and again! I'll have to do a tutorial for you soon. Thanks for looking and check back soon! 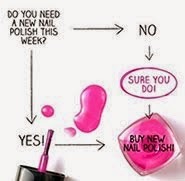 Hello my fellow nail polish addicts! 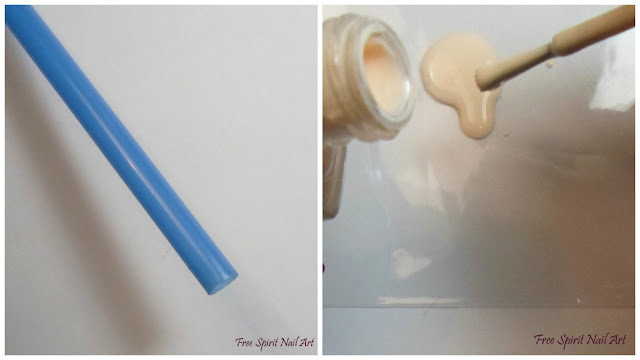 Today I am reviewing for you China Glaze's Keep Calm, Paint On which is a pastel minty green. Overall I think this is a great formula and a very pretty pastel green, what do you think? Leave me a comment below and check back soon for more! Hello my fellow nail art enthusiasts! 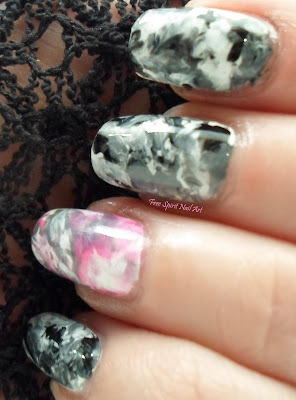 Today I have a marbled/stone mani to share with you done in neon colors. I love bright, neon colors plus I love the stone/marbled look putting the two together was a no brainer! I really love how it turned out! The colors used are Sinful Colors Snow Me White, Sinful Colors 24/7 (pink) and Funky Fingers Riot (purple). Thanks for looking and check back soon for more nail art, swatches and general fun! Hello my dear readers! Today I am reviewing for you Sally Hansen Black and Blue from their Complete Salon Manicure line. I picked this up at my local Walgreens awhile ago but have only just recently gotten around to swatching it. I used a base coat by Sinful Colors then 3 coats of Black&Blue then a top coat of Seche Vite. The color shift from blue to purple is easier to see in the bottle than on the nail but it does shift and is quite pretty in person. I did need 3 coats for full coverage but the formula is not streaky so it wasn't an issue for me. Overall I like this color but have no idea what I'd do on top of it. If you have ideas leave me a comment below and check back soon for more reviews and art! Hello my fellow nail art enthusiasts! 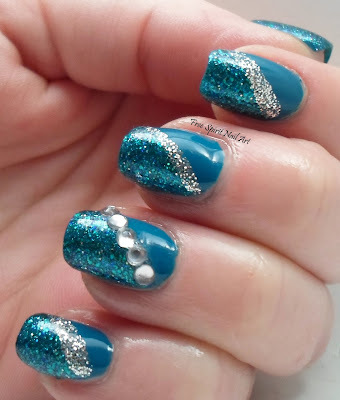 Today I have a very blue and sparkly and bling-y design to share with you! I used Zoya Talia for the plain blue and China Glaze I Soiree I Didn't Do It for the sparkly blue. The silver was done using an Art Club stripper and the rhinestones are from Ebay. I sealed it all with a liberal coat of Seche Vite. So what do you think? Leave a comment below and check back soon for more designs and reviews! Hello my dear readers and fellow polish enthusiasts! 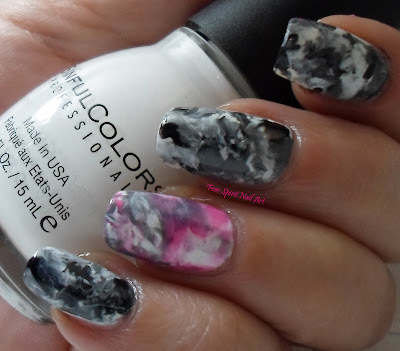 I thought I would go ahead and do another review for you on another Sally Hansen polish I thought I'd try. 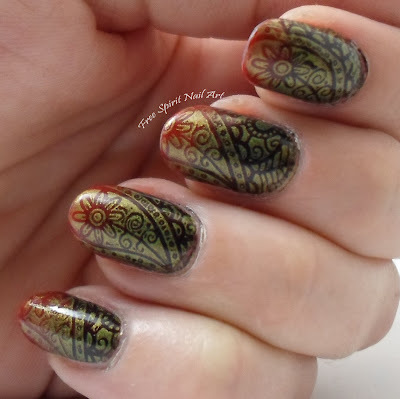 I am one of the few that seem to like the textured polish trend so picking up this to try out when I spotted it on clearance was a no brainer! It does have a texture to it but I wouldn't call it velvet more like spongy rhino lining if that makes any sense...?? ?...anyways, this only took two coats after a base coat but no top coat was used, as usual with textured polish. It has a square brush which made application tricky near the cuticle but it does dry quicker than most textured polishes which is a bonus in my opinion. The color on the nail really is the same color as in the bottle which I found surprising but a good surprise. Overall I like it for what it is and I'm sure it will be perfect for some random mani that just hasn't occurred to me yet but I don't see myself wearing it as it, it's definitely more one for the art side of things. 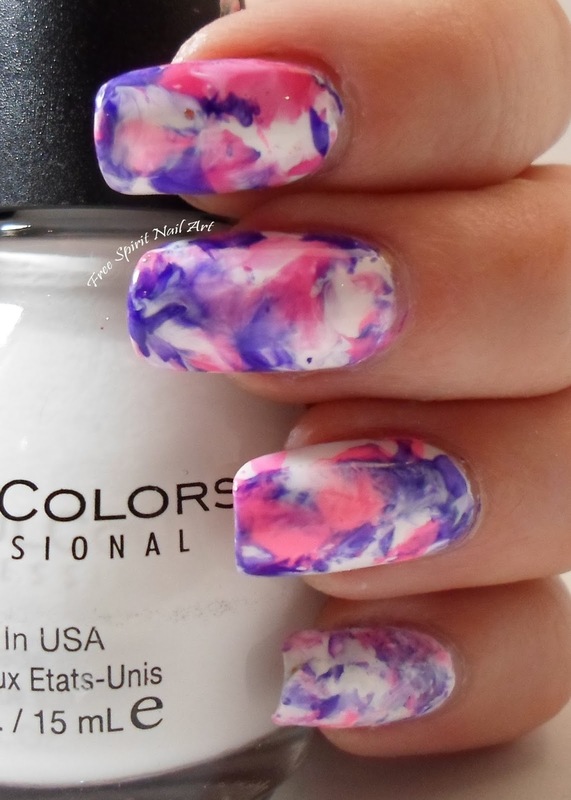 Have you tried this polish? 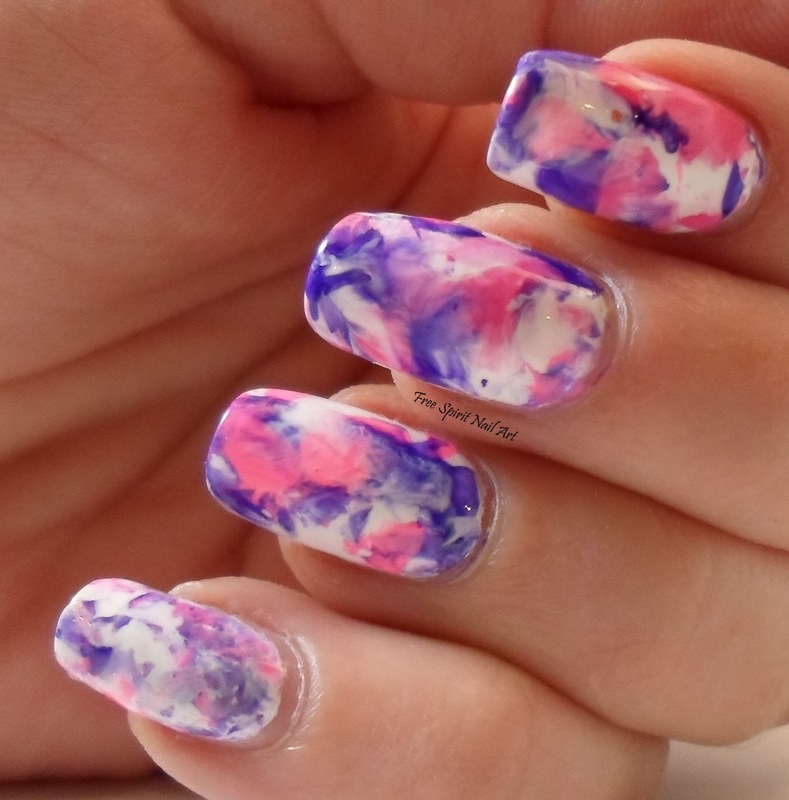 If so let me know what you think in the comments below and check back soon for more nail designs and reviews!